One of the things that's tough about being a professional writer—besides the non-stop adulation and trying to figure out where to stash all the money—is having to keep silent about projects you're over-the-moon excited about. 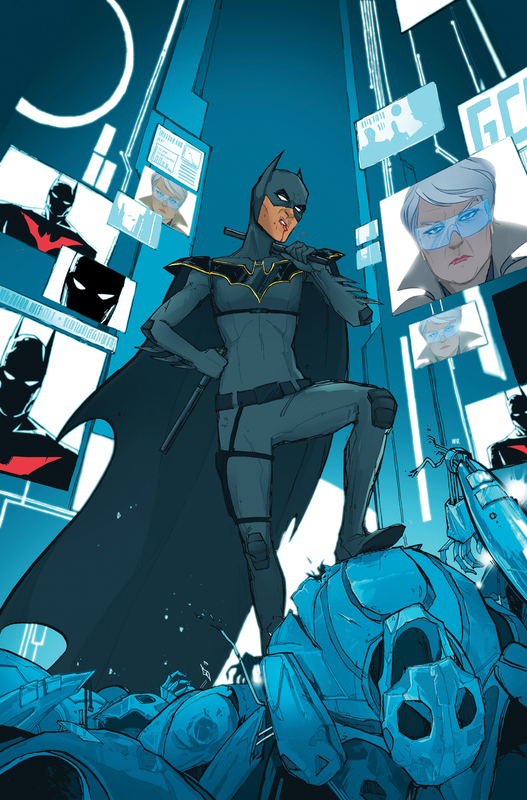 So when I got asked to create a new Batgirl for the Batman Beyond universe, for instance? That was tough. When the great Annie Wu came on board as artist? Much, much tougher. When I started seeing her designs? I nearly bit through my lip. When I started seeing her actual pages? And couldn't say anything for half a year? Oh, the way I do suffer for my art. It's all worth it, of course. And I was able to console myself by making her cover my desktop image for the past month. And now y'all get to see it, too. I mean, come on. How ridiculously great does this look?